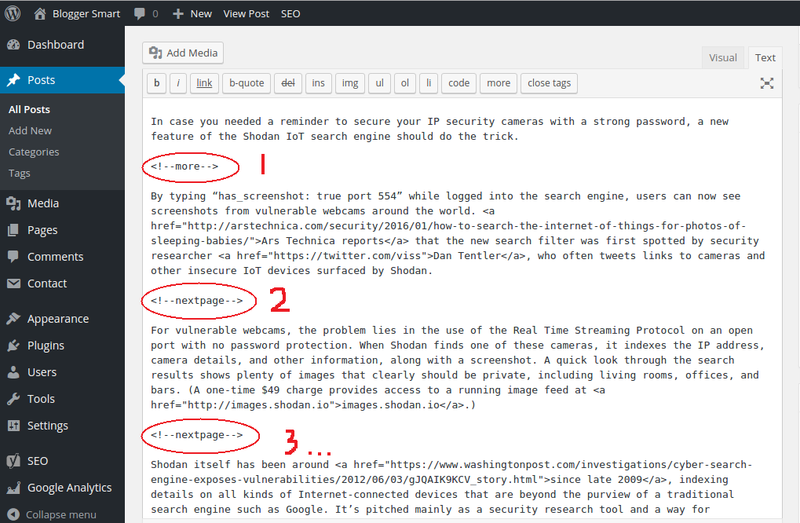 How to Paginate Posts in WordPress, usefull for Adsense Tricks. 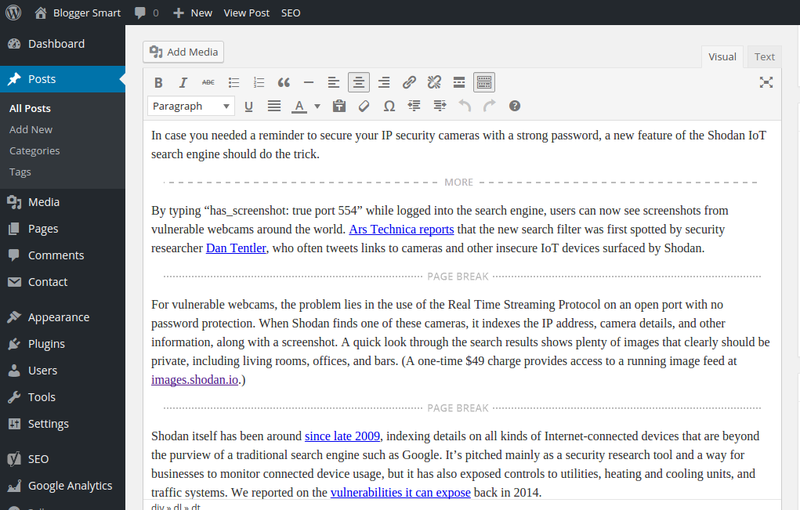 Hello, and welcomeback again in Blogger Smart. This time we wanna share simply tricks for paginate post in wordpress, and this verry usefull if you work with Adsense or other Ads that will show random ads if page is loaded. 1. Select your post that want to paginate. 2. Select the text editor mode.